You are here: Home / My Blog - The Mechanical Pencil / Want to Be a Writer? Want to Be a Writer? Do writerly things. When I made the decision to work on my writing and become a better writer – let’s face it most people can write, few people write well – the best place to start is the path other writers have followed. Besides the obvious “writers must write”, what other things make good writers? It’s easier to write when there is something to write about. Go out live, have an adventure, travel, fall in love, then write about it. The more adrenaline or endorphin it produces the better. 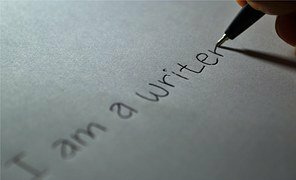 As a writer, there may be a tendency to stay home, “write what you know”, old memories or experiences. Work on those in small patches for you memoir. Find something that excites you today. Last weekend the Writers of Kern held their Spring Conference. Writer Anne Perry was there sharing her knowledge. She has sold 27 million copies. Every book she has ever published is still in print. Yet during the morning session, there she was in the audience looking for kernels of knowledge she might use. During the Q&A session she asked some insightful questions. The point is, writing is a craft. Like anything, it’s best to commit to the process of continual learning. Not only must we have experiences to write about, we must know how to use the tools of storytelling to convey them. Check out the world around you. On a long trip I’ll try and create a story around a car or truck I see on the road. Where are they going? How much can I learn from the car? Late-model or junker? BMW or Chevy Cavalier with the temporary spare rolling on the left rear? Is it just a driver or driver and a lover, confederate, or child? My favorite book growing up was The Complete Sherlock Holmes by Arthur Conan Doyle. The powers of observation and deduction fascinated me. Did he really see more than others? Did Doyle possess those exquisite observational skills? Did Doyle teach himself the powers of observation? In the horse training business – in which I have been known to dabble recently – there is a trainer named Clinton Anderson. One of my favorite sayings of his, and it relates as much to writing as horse training, is “If you want to be effective, you must be understood“. That’s what I’m working on, being understood. Communication appears simple, but it is not. People rarely get my point without a second or third explanation. Clearly, I’m not always being understood. With each piece I determine what am I trying to say. Not the top two or three things, the ONE thing I want to say. Then, I work at getting all the words to work in that direction. It’s a challenge, but I’ll keep working on it until I get it. Those are a few of the key ingredients about writing I’ve learned from some of my favorite authors. What are yours? Words of wisdom, writely written. There do appear to be at least two kinds of fiction writers; the reclusive Proust or Austen, the extrovert Hemingway or London. We all have our preferences. Observation, as you say, is key; there are adventurous world travelers who appear oblivious to all their surroundings, there are also quiet stay-at-homes who eavesdrop and learn from every little conversation in the checkout line.. I was most impressed by your remark about continually making up stories in your head. A good fiction writer must live in a world of daily fantasy; just be careful about speaking your thoughts aloud when in company! Good post and reminder to pay attention every day to the world around us. I too like the idea of making up stories about people when driving. I think I’ll try that at work…..attorneys can be such interesting characters. I can usually gauge my mood by the stories I make up. Sometimes they go to the dark side and I know I have to work on figuring out a way to inject humor.